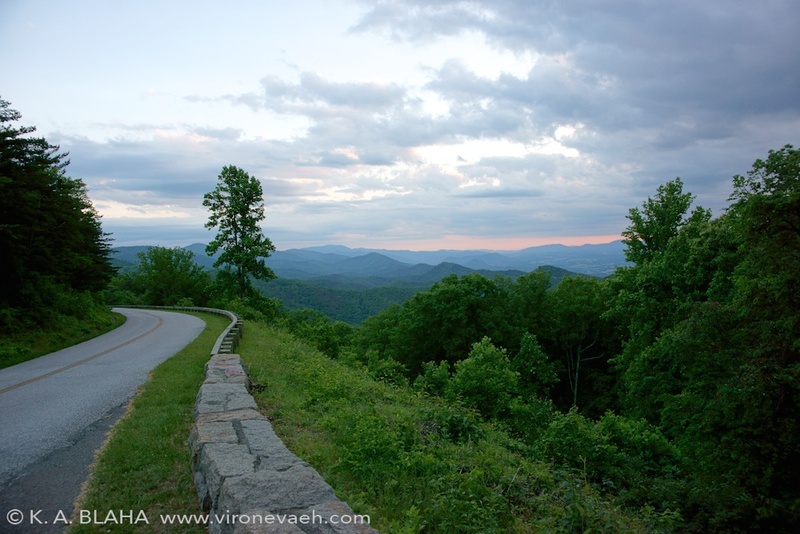 The Blue Ridge Parkway is 469 miles long, connecting Shenandoah National Park and Great Smoky Mountains National Park. 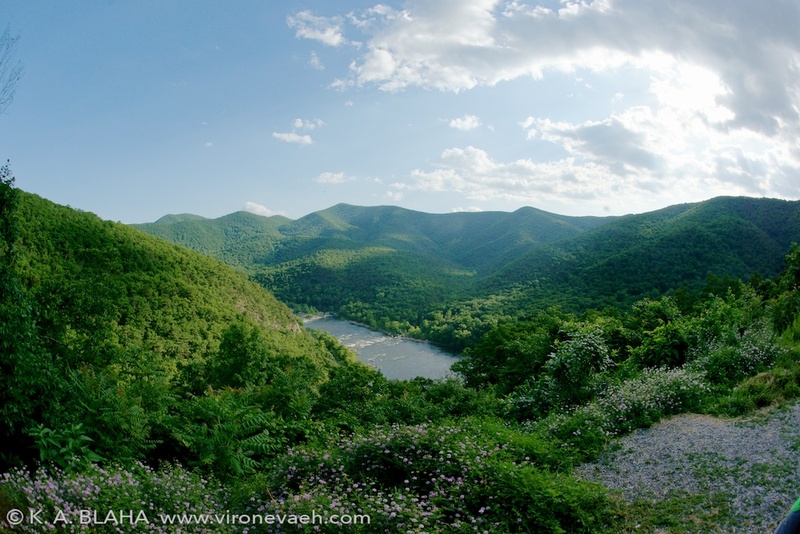 It is managed by the National Park System, though it is not a national park itself. Still, it has been the most visited part of the National Park System every year for over 50 years. This weekend, I drove and hiked along a portion of it between Vesuvius and Roanoke, Virginia. It rained last week, so the vegetation was especially lush and the waterfalls especially spectacular. 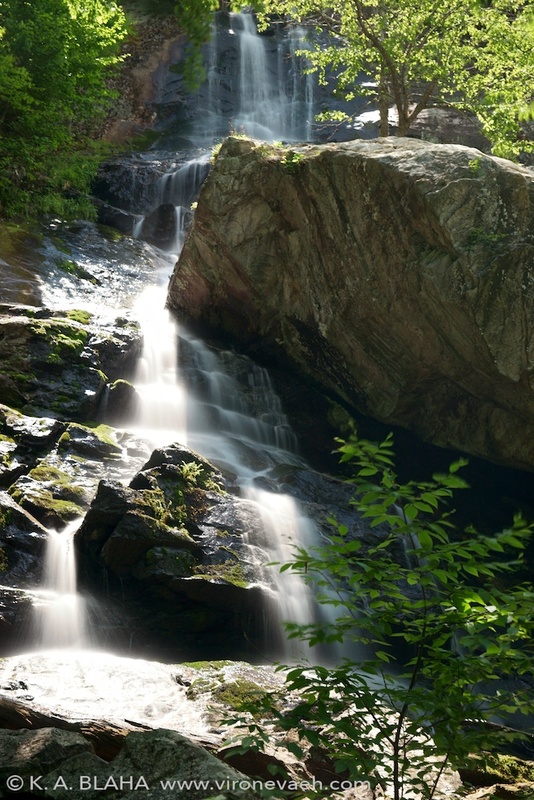 Crabtree Falls bottom-most waterfall, off mile marker 30 of the Blue Ridge Parkway. 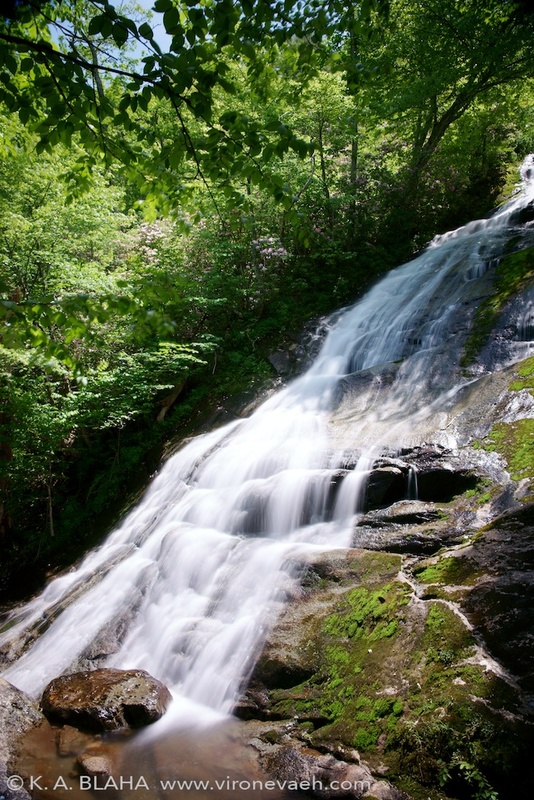 Highway 56, which leads to Crabtree Falls, is a beautiful drive whether you go east of the Parkway or west. We stayed in a cabin near these falls, and at night, we could hear the water rush. 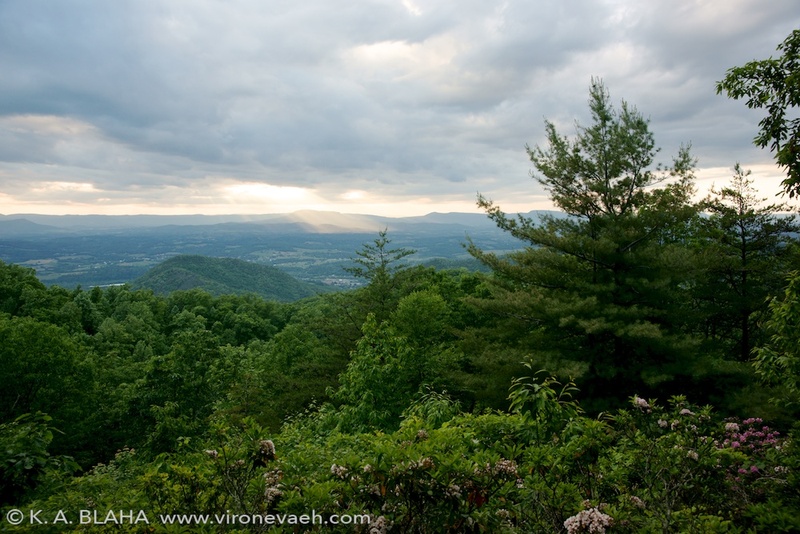 Overlooking Buena Vista, Virginia shortly before sunset. Further into sunset near Buena Vista, Virginia. 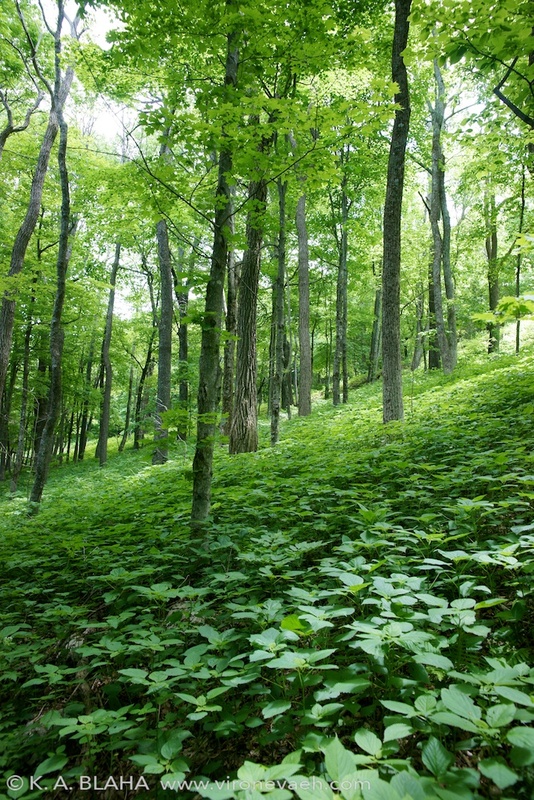 Vegetation approaching the Apple Orchard waterfall trail. Blooming azalea bushes lined the trail to Apple Orchard waterfall. Apple Orchard waterfall near mile marker 78 on the Blue Ridge Parkway. Another waterfall on the Crabtree Falls trail. 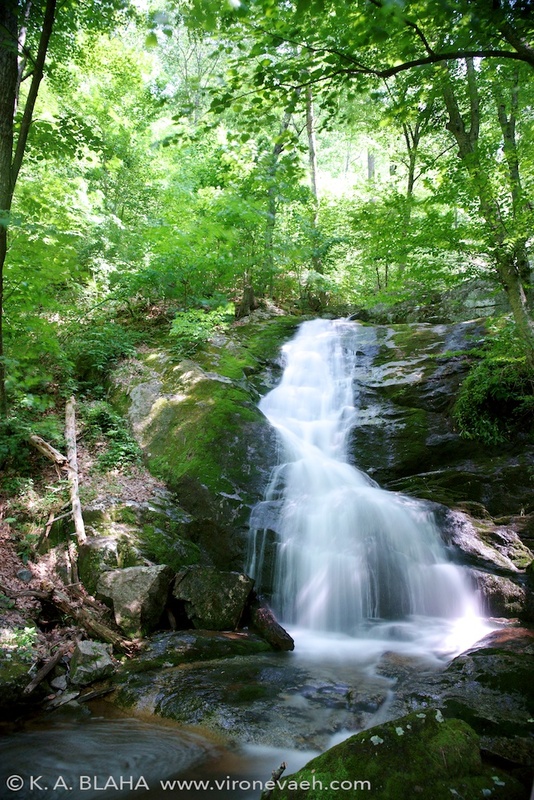 In 1.5 miles, you can see 4 different falls, though on the weekends it can be somewhat crowded. We went on Monday and shared the path with a different and slightly-too-exciting crowd: a rattlesnake and a six-foot long black snake. Nature! 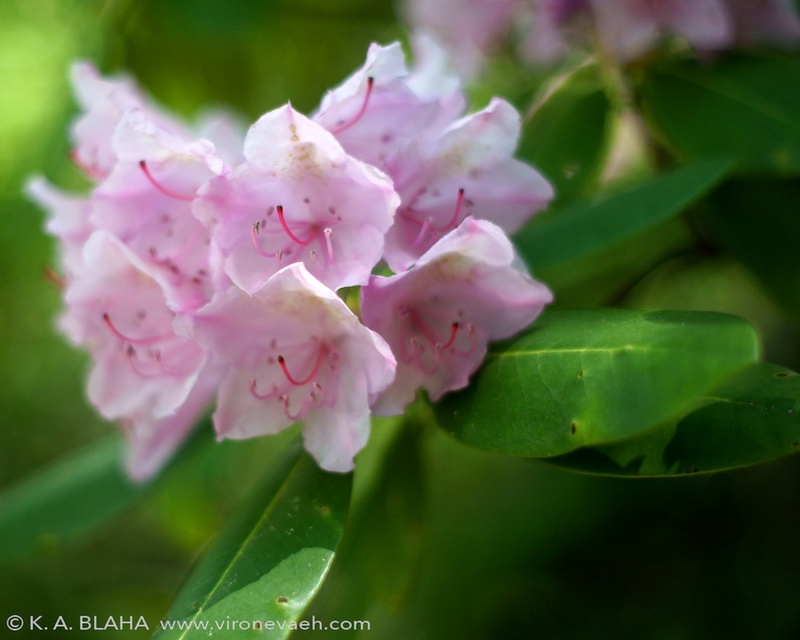 This entry was posted in Photography and tagged apple orchard falls, azaleas, blue ridge parkway, buena vista, crabtree falls, foliage, james river, landscape, national park service, National Park System, nature, road, roads, scenery, sunset, the Blue Ridge Parkway, virginia, waterfall on June 3, 2014 by Vironevaeh.